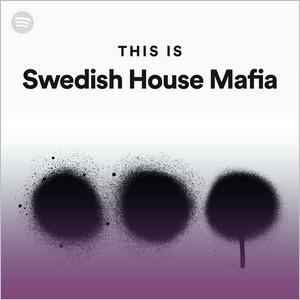 With all these hypotheses and speculations about a possible Swedish House Mafia reunion, the news that Spotify, just yesterday, added from nowhere a new playlist titled “This Is Swedish House Mafia” seemed to have gone unnoticed. It’s Friday 23rd which means the first day of Miami Ultra Music Festival (have a look at the main stage). Today’s lineup is very interesting because Axwell and Ingrosso will close the day 1 of the Festival. It seems nothing abnormal if not for the fact that this year the rumors about a Swedish House Mafia reunion became more and more incessant. Spotify adds “This Is Swedish House Mafia” playlist alongside “Today’s Top Hits,” “Mint” and more. We’re not here to speculate about what will or will not happen because the show is in less than 24hrs so, we just need to wait. A fact is that yesterday, apparently for no reason, Spotify has added a new playlist titled “This Is Swedish House Mafia.” Someone can now ask if it is a fake or not, maybe a new account created just to do that but, no. The account is the official Spotify one, the one which manages “Today’s Top Hits”, “Mint” and more. Coincidences? 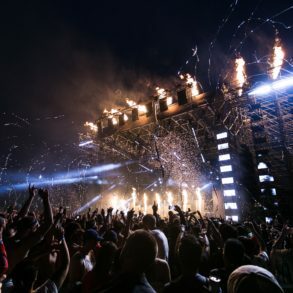 Maybe, but for sure Ultra Miami is taking a huge advantage of the whole situation and we can easily predict that tonight live stream will be full of spectators. Below you can find the full playlist. It seems not ended here, because, also bpm playlist, also owned by Spotify, has changed icon and tracklist in honor of Swedish House Mafia. See below.